Join us for the Calgary Charity Challenge! Are you looking for a way to be active while giving back? Look no further! 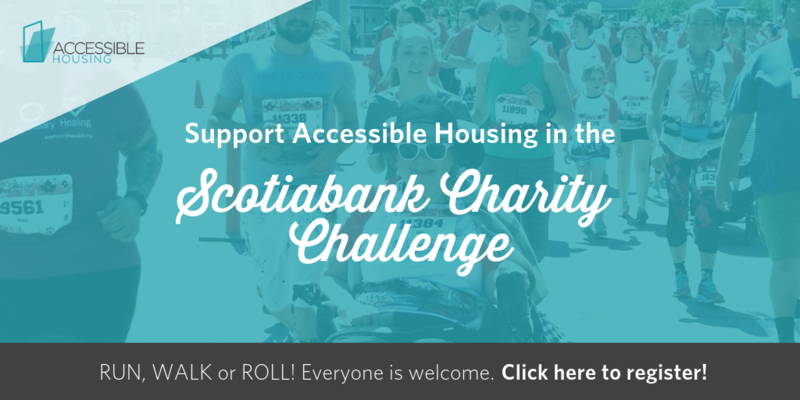 Accessible Housing is participating in the Scotiabank Calgary Marathon Charity Challenge. This event is inclusive, so you can RUN, WALK or ROLL and fundraise for Accessible Housing! You’re up and running! Ask your friends, family and colleagues to support your run, walk or roll by donating! If you have any questions, please contact chloe@accessiblehousing.ca. Not interested in participating? You can always sponsor our team by clicking here.